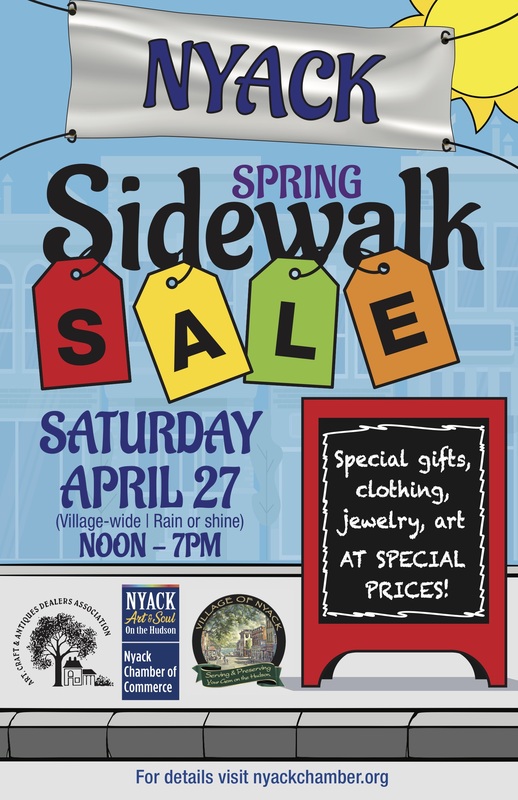 The Nyack Chamber of Commerce is hosting a spring sidewalk sale on April 27. Shoppers will shut down their computers for some real brick-and-mortar browsing. Great deals will be available from dozens of retailers and restaurants. The sale runs from noon until 7:00 pm, rain or shine. Earth Day will be happening from noon-4pm at the Main Street gazebo. What a great way to respect the planet than reducing your carbon footprint by shopping local!